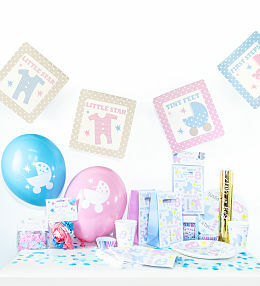 Shop our range of perfect new baby gifts for a little boy or girl. 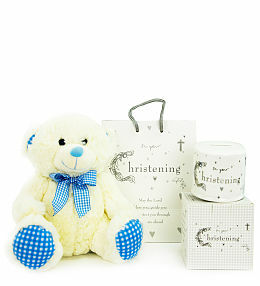 We have a fantastic selection of new baby hampers and baskets which are sure to pop a smile on the proud parents faces. You can also add a little something extra to your special new baby gift including chocolates, a cuddly bear and wine (for the parents of course!) Want the new baby gift to arrive tomorrow? Simply order before 9pm For next day delivery. The perfect baby girl gift to celebrate the new arrival that will be a pleasant surprise for any new parent! Complete with a baby grow, bib, a pair of booties and a cuddly teddy toy. The perfect gender-neutral baby gift that will be a pleasant surprise for any new parent! Complete with a baby grow, bib, a pair of booties and a cuddly teddy toy.